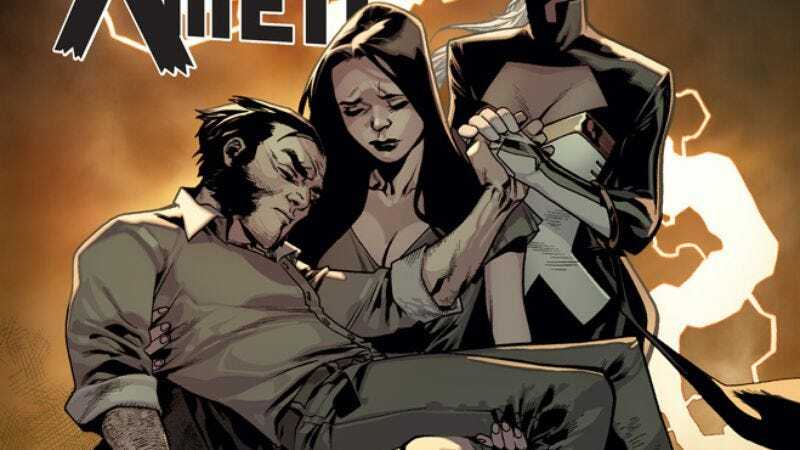 It’s been a week since Wolverine shuffled off this mortal coil, and to mourn the loss of Marvel’s flagship mutant, Wolverine & The X-Men has invited some of comics’ most distinctive artists to detail how Logan’s death has affected his former colleagues. Last issue featured work from Robbi Rodriguez, Ian Bertram, Ronald Wimberly, Kris Anka, Ariela Kristantina, Jim Rugg, Declan Shalvey, and James Harren, and next week’s issue assembles an equally wide range of talents as writer Jason Latour approaches the end of his run. The line-up for Wolverine & The X-Men #11 isn’t quite as packed as the previous issue, but it’s still a stellar assortment of comic creators that includes the return of Robbi Rodriguez (Latour’s collaborator on last month’s exceptional Edge Of Spider-Verse #2 introducing Spider-Gwen), Ben Caldwell, Vanesa R. Del Rey, Chris Brunner, and Farel Dalrymple, whose recent graphic novel The Wrenchies is one of the year’s best reads. Perhaps the most exciting thing about next week’s issue is that it features Latour taking on art duties for the first time on this title, drawing a sequence that spotlights Doop as the star of a hardboiled crime TV show called Doop Hard. If Wolverine’s death means more unconventional developments like this for the X-Men, hopefully he stays dead for a while.